1. 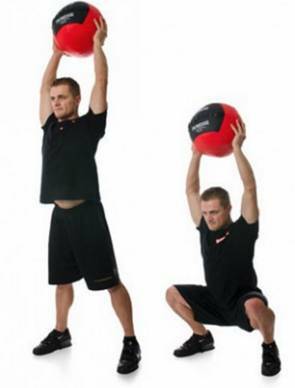 Twist from side to side – your upper torso only, while keeping your feet and lower body fised. Get a good stretch. 1. Bend from side to side – as low as you can. Get a good stretch. 1. 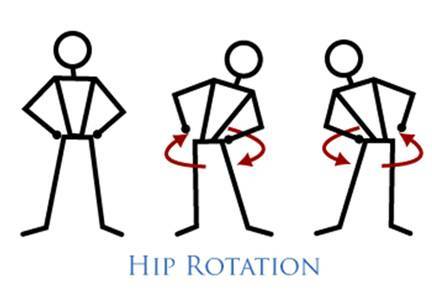 Rotate Hips in a Circle. Left to Right and Right to Left. 1. Touch your toes and then reach for the sky. 3. Jump back up and reach for the sky. 1. Pretend you’re holding something over your head. You can do this empty handed or hold a book or other object. 2. Stretch your hands straight over your head so that your arms are aligned with your back. 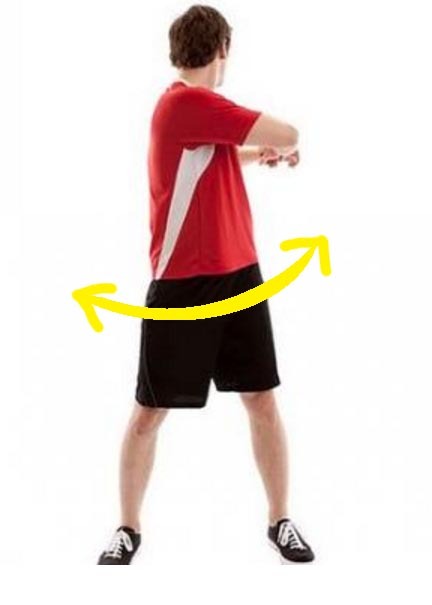 The idea is to keep your hands and arms, above your head, straight, not curved or arching forward. 5. 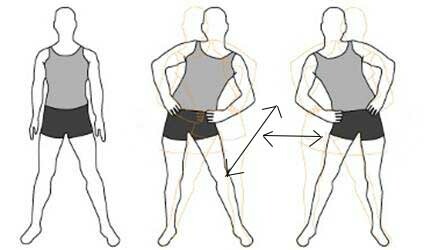 This will keep your back straight, give you better posture and strengthen your ack. * Repeat – 10 to 50 reps.